Meghan graduated from Fairview College as an Animal Health Technologist in 2015. 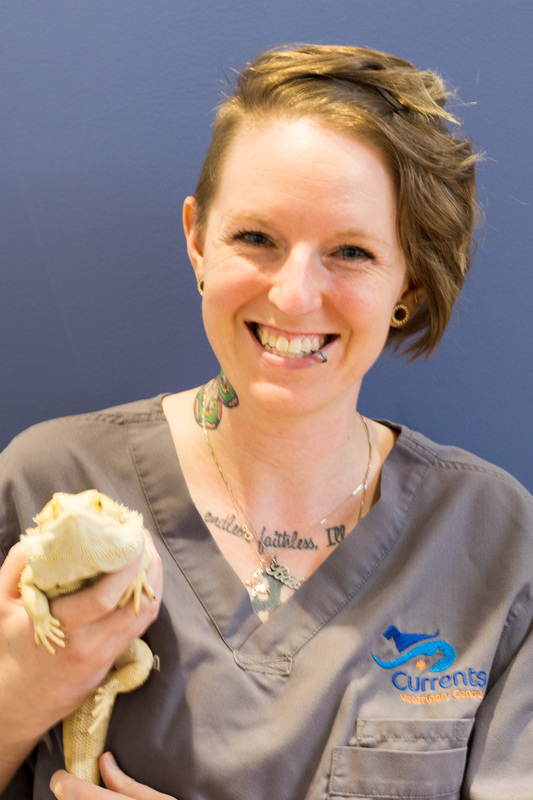 After doing her practicum with both large and small animals, Meghan moved to Leduc and joined us at Currents Veterinary Centre in 2016. Meghan particularly enjoys working with cats, cattle, and reptiles. She shares her home with her husband, 3 cats, 3 snakes, 2 axolotls, 2 newts, 1 iguana and a bearded dragon. In her spare time, Meghan enjoys watching football and going to music concerts.